When visiting any region, people generally tend to go seeking out the local tourist attractions, looking for things to do and places to go, and Udon Thani is no different. There are over 30 things to do in Udon Thani, and that is without adding the nightlife scene, which offers its own special brand of entertainment. The sightseeing in Udon Thani and around the local Province, make for a nice distraction from the bars and bar girl scene, with many people coming here for a combination of the two, finding a lovely Thai lady to spend time with, then whizzing off to take in the local sights for a more 'natural' holiday. The obvious advantage of doing this, apart from having some lovely company, is that you have someone who might be able to explain what you are seeing at a number of attractions, something quite useful especially at the more spiritual locations. The city of Udon Thani has several sights that are interesting, although few are spectacular. 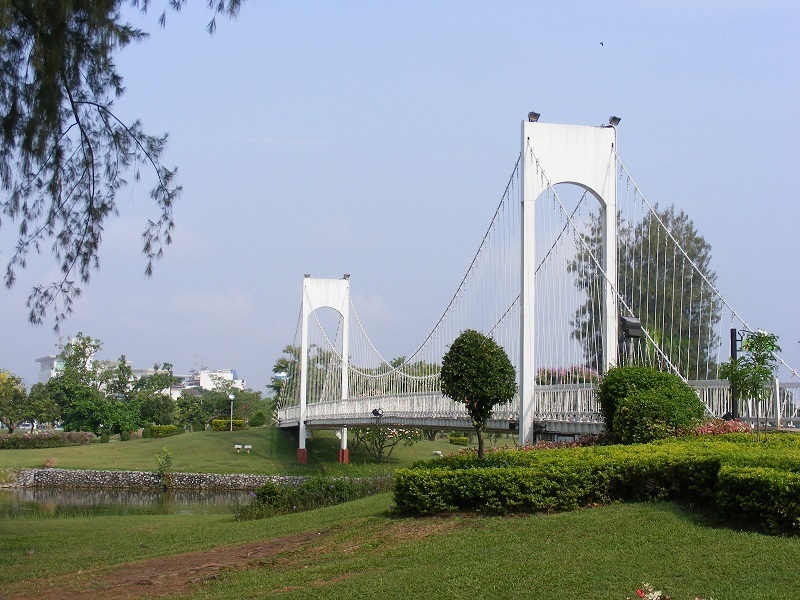 Nong Prajak Park is well worth visiting in the early morning, or evening to take a stroll away from the hot sun of the day. You can also find lots of restaurants, food stalls and massages that are available in the surrounding streets. 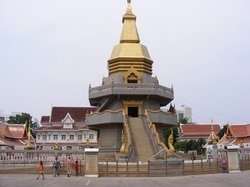 For the more spiritual 'must see' attractions, The Udon Thani City Pillar Shrine and Wat Photisomphon really should be seen, especially the latter. To discover a little about the short history of Udon Thani, the Udon Thani Museum is a good a place as any to find out something about the early life and some of the development since those days. (Actually, it's the only place as of today). 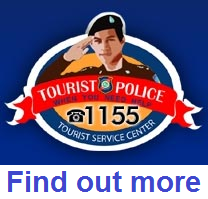 Beyond the city limits of Udon Thani, there is a reasonable variation of attractions which are popular with both local Thai's and foreign tourists alike. Many of the Udon Thani attractions are to the west of the city, but perhaps the most impressive are to the east and north. Temples (wats), do of course feature in the main attractions quite often, and if visiting with a Thai that can perhaps speak a little of your language, you will get much more from the visit. That is not to say they are not worth visiting alone, as they are impressive enough in their own right, but to have a little background may add a little to the day. There are some attractions where some background knowledge is not essential, and you can simply wander around enjoying the view. Phu Phra Bat Historical Park and Butta Bat Bua Bok are perhaps the most 'important' attractions in the Province, they are certainly the most fascinating. Phu Foi Lom, and Na Yung Som Forest Park are very rewarding locations too, with some great landscapes to enjoy. Wat Baan Waeng is perhaps the most entertaining temple in the region, and the Erawan Cave in the west of the region are a 'must see' place, as you go in to the cave and explore to your hearts content. Sala Kaew Ku in Nong Khai is probably the most visited sightseeing attraction in the Udon Thani region, being historical, spiritual and totally fascinating all in one. Nong Khai, as a town also has its charms, and of course the covered market is another 'must do' item on anyone's agenda while visiting the Udon Thani Province, and Nong Khai in particular. About 100m or so from Sala Kaew Ku is the more recently opened Nong Khai Crocodile Farm. Another animal related attraction is the Nong Khai Aquarium, just to the south west of the town. While visiting the Nong Khai area, you might want to consider heading east to see the highly impressive Wat Phu Tok, a place where a little physical exertion is required to get the very best out of this particular attraction. If you have never seen 6 million bats leaving their cave for the evening, and think you want to, then Phu Pha Ya Cave, near Leoi in the west of the region is a great place to head for. The event may only be visible for about 30 minutes, depending on what time the bats decide to fly out, but it is something different and certainly something I had never seen before moving to Udon Thani. In recent months we have been asked where are the best places to visit and how to fill up a day with sightseeing, so we have created some itinerary suggestions to help you get the most out of your visit to the Udon Thani region.